The highest bidder of the auction was Alberto Vinseiro, CEO of Andbus, a family-owned passenger transport company based in Andorra and founded by his father in 1969. 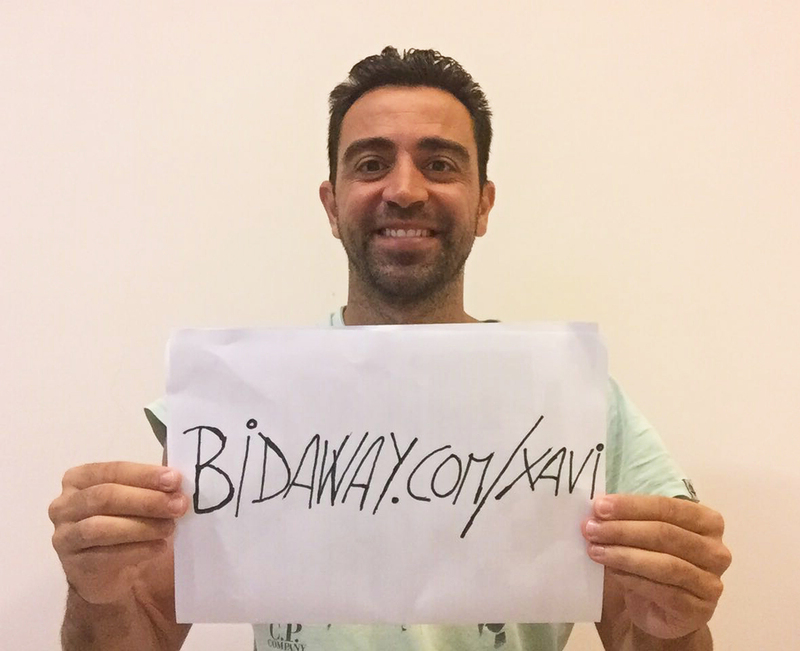 Vinseiro, a sea lover, fan of FC Barcelona and especially of Xavi Hernández, saw that he could make his dream come true on www.bidaway.com/Xavi, and did not hesitate to bid for the yacht moved by his desire to sail and for contributing to the cause of Proactiva Open Arms. In addition, on 8 March 2017 , Xavi Hernández thanked him personally through a video-call, so Vinseiro was able to meet his idol and talk all things football, predicting the mythical comeback against Paris Saint-Germain. "I had always thought that the purchase and maintenance of a ship was economically intractable, but when I read the news in the press about the auction of “La Pelopina”, my desire to sail increased due to two very important aspects. On the one hand, the possibility of collaborating in the incredible humanitarian work that Proactiva Open Arms does with the refugees; and on the other hand, the pride of being able to own a yacht that had belonged to one of my idols, ​​Xavi Hernández. For this reasons I placed the bid, which made me change the priorities I had for other things, it was like an investment." How was meeting Xavi Hernández like, did you fulfil your dream? "Xavi was very nice and friendly. We talked for a while and even predicted the epic comeback of F.C. Barcelona. Meeting one of my FCB idols has been truly an honor." How was the experience with “La Pelopina”? "The experience has been pleasant and enriching, even though I haven’t been able to sail with my “new” boat yet, since the winter season at work is intense and the temperatures don’t help much. However, the preparation process has been an enriching experience: finding the perfect location, mooring, participating in its refinement and remodeling. Finally, I have renamed it as “Regina”, in honor of my mother, who passed away two years ago." Anything else you want to say to the BidAway family? "If I had to rate this experience I’d say 10/10! I’m happy of being the lucky one who won the auction and I’m also proud of supporting the excellent work of Proactiva Open Arms. Thank you for everything, and for paying attention to every detail."